Though we assume we know who the power truly belongs to in the United States, there are secret organizations out there the might of which will never be known to us, and in Hidden Order by Brad Thor, one such organization is the Federal Reserve. Though officially they are part of the U.S. government, the extent of their power far surpasses that of anyone else in America, and the reality behind them is hiding in the shadows, to be seen by no one. However, when their leader dies and the throne becomes open for the taking, all five candidates who were vying for it have suddenly disappeared. Scot Harvath is the man who is given the task of finding out what is truly happening behind the scenes, sending him down on an investigative path littered with murder and layers of conspiracy, pitting him against America’s greatest threat yet. Brad Thor is one of those authors who likes to mix facts, fiction, and a whole lot of opinion in his works, and that’s exactly what we get here. Before get on to the last part though, I’d like to talk a bit about the novel from a more technical standpoint. 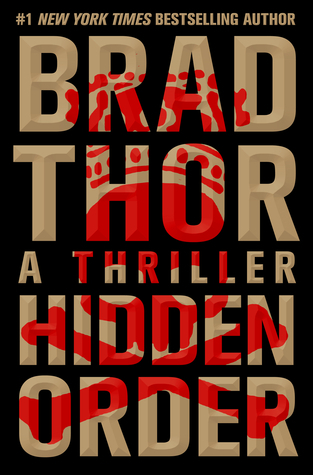 Brad Thor has managed to consistently deliver one solid thriller after the next, and he does so once again, bringing to us a fast-paced and action-packed piece of writing that nevertheless finds time for respites here and there to delve into descriptions, explanations and philosophies. When asked as to which countries the United States are at war with, most people will probably answer Yemen or Afghanistan. However, what many people ignore (besides the fact that the U.S. is involved in many more armed conflicts around the globe) is the fact that the country has been waging a secret war against Iran… for more than thirty years now. 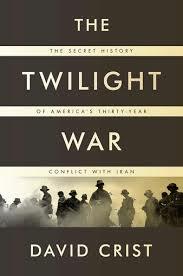 In his book The Twilight War, David Crist explores in great depth how the conflict evolved over the years, from the Iranian revolution all the way to the current crisis with the country’s nuclear program. Crist doesn’t try to sensationalize anything, nor does he weave some kind of story. Rather, he uses known facts, information found from key documents as well as witness testimonies in order to construct the most believable and detailed storyline of the U.S. – Iran conflict. What really pleases me is that he doesn’t take any sides here, taking great care to discuss the good both countries have done as well as the bad. He provides some much-needed insight and explanations into the dealings between the two countries over the past decades and how some of the decisions which made things worse came to be. He isn’t looking for anyone to blame or anything of the sort… rather, the author is much more preoccupied with how the conflict can end up exacerbating United States – Iran relations, and how some day it may will lead to blood, violence, and maybe even death. 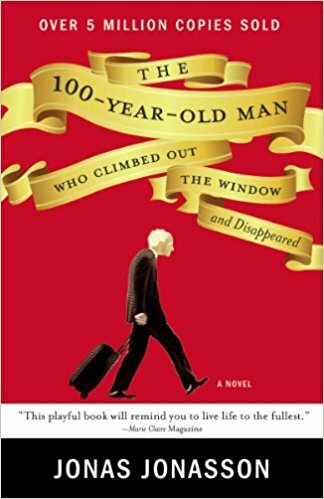 The very descriptively-titled book, The 100 Year-Old-Man Who Climbed Out the Window and Disappeared by Jonas Jonasson follows the life of a man about to become a centenarian, who did exactly what the title said. While everyone was preparing for his birthday, Allan Karlsson couldn’t care less and decided that despite his age, it wasn't too late to start his life over again. And so, without so much as a second thought, he dons his slippers and climbs out the window, disappearing under everyone’s nose. What follows is one of the most eventful and somewhat surrealistic adventures to ever befall a man as Karlsson wonders on through the city stumbling from one surprise into the next, and those involve a suitcase full of cash, criminals, an elephant, hot dogs, and more. When I read it, I had the impression that the book was basically split into two different sections (though it wasn’t made explicit): there is the adventure Karlsson is currently going on, and then there are the adventures he had over the course of his lifetime. Much in the spirit of Forrest Gump, Karlsson is accidentally one of the most influential people of his time, playing a key role in many of the twentieth century’s key moments; his life led him from working as a munitions boy all the way having dinner with Stalin and a number of other political figures. 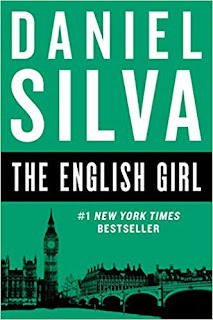 In the last few years Daniel Silva has made a name for himself as the author of various exciting thrillers and mystery novels, many of them revolving around a recurring protagonist, Gabriel Allon, master Israeli intelligence officer and art restorer extraordinaire. 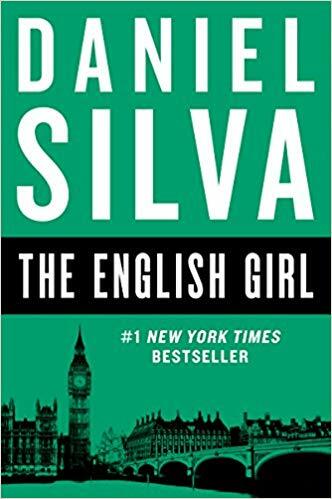 After finishing a case where his ridiculously-useless (for intelligence work of course) talent turned out to actually have a purpose, Gabriel Allon finds himself entangled in a whole different kind of web in The English Girl. An important British woman has reportedly disappeared on the French island of Corsica, and things wouldn't be so bad if that woman didn't have information which could utterly destroy the career of a prime minister, and if she wasn't taken as a hostage. If there was a single way to describe this book, I would say that it’s a non-stop thriller ride set on one of the most artistically-conscious roads there are out there. Daniel Silva incorporates a fair amount of art as well as interesting facts in relation to it in his book. He describes some pieces of work in great detail, and even delves into touches on a few more or less abstract concepts. However, he doesn’t focus on that aspect of the story more than is necessary and spends most of the time developing the actual subject, and boy is he good at that. Hello ladies and gentlemen, allow me to welcome you to the thirteenth issue of Gliding Over the World of Literature, where news from the world of books flow through an endless river of knowledge, secrets and discoveries. Today, we are going to take a look into the life of Guy de Maupassant and gain some important insights into the kind of unique man he was. After that, we will take a glance at the ten best modernist books according to Laura Frost from Publisher’s Weekly, and cap things off by learning where the “historical fiction” genre found its roots. Though I get the impression people are starting to forget about his contributions to literature, Guy de Maupassant may have been not only one of the most influential writers of his time, but also one of the most interesting and intelligent people to have lived on Earth. He is a man who journeyed from poverty and anonymity to wealth and fame, someone who has seen all the human soul has to offer, a man who remained a realist, even when clashing with madness towards the end of his life. Many of his wise insights can still be applied today, over a hundred and twenty years after his demise. 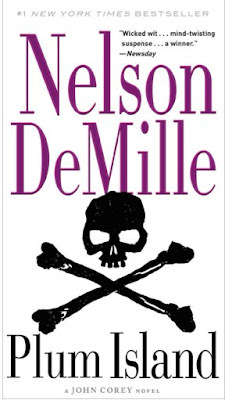 "His was a vile death, the madness caused by syphilis and its related physical horrors. It was an end that he knew he was facing and had tried to avoid by attempting suicide some 18 months earlier. But fate insisted on more suffering and the great French writer Guy de Maupassant, having slit his throat, failed to die. He struggled on and was reduced to crawling on all fours, convinced his brain was seeping out through his nose. He died 120 years ago today, July 6th 1893, in a Parisian lunatic asylum. He was only 42 and in a brief literary career had written almost 300 short stories, six novels, three travel books and a vast body of journalism. When critics pronounce on the art of the short story, naming Anton Chekhov as a God and pitch the might of the American masters against the best of the Irish, Maupassant, influenced by Honoré de Balzac and championed by Gustave Flaubert, is invariably mentioned. Maupassant the realist saw the mean-minded pettiness of men, the civil servants and peasants with hearts as dried as peas. His followers include writers as diverse as Henry James and Raymond Carver. There is no denying either that although John McGahern often professed his admiration of Flaubert’s stylistic poise, many a grim-faced McGahern country policeman or school master could have strode as easily from the pages of a Maupassant story. As a writer, what was Maupassant’s only weakness? His popularity – his huge sales made critics suspicious and reluctant to acknowledge his art. As early as the publication of Boule de Suif in 1880 when Maupassant was only 30, Flaubert praised it as a masterpiece and admitted he was grateful he had lived to read it. The first of Maupassant’s novels, Un Vie appeared in 1883, it was followed within two years by Bel Ami. It made him rich and famous, but he was never happy – not even when sailing his beautiful yacht that he had named after that second novel." The era of modernism in literature is perhaps one of the most fascinating and challenging ones to study, as most of the works written during that period reflected the rise of mass culture, endless technological advances, progress in terms of women’s rights, and much more. Many modernist books have quickly become heralded classics, and considering we still have the rest of the summer in front of us, I have decided to provide you with what I believe to be a complete list of the modernist novels you ought to read at least once in your lifetime. "It’s going to be a long, hot summer. Why unwind with the latest mystery or light comic novel when you can grapple with some of the most demanding works ever written in English? Think of it as Pilates--or rock climbing--for your brain. Modernism, spanning the first half of the twentieth century, was the era of James Joyce, Virginia Woolf, Gertrude Stein, William Faulkner, and other heavyweights who made it their business to revolutionize literature. It was a tumultuous time of technological advances, the rise of mass culture, the women’s movement, Freudian psychology, and, above all, two devastating world wars. Modernists felt that they were living through a period of momentous change that called for equally radical changes in literature. “Make it new,” Ezra Pound instructed his colleagues, by which he meant, change the rules for writing and for reading. Out went clear, coherent, linear plots, omniscient narrators, and straightforward language. In came fragmentation, multiple points of view, stream of consciousness, dense allusions, and ambiguity. Modernism requires an active reader: you need to work to make sense of it. But there’s pleasure—and yes, fun!—to be had in seeing literature do something it never had before." Though it may sound commonplace today, the more you think about it, the more the genre of “historical fiction” sounds weird. It is a combination of fiction and reality, an inaccurate re-telling of events that truly happened for the purpose of making them more exciting, or give them some type of specific meaning. As it turns out, this genre had a very rocky beginning in 17th century France and most scholars and titans in the world of literature have a very mixed and love/hate relationship towards it. "When a history, story or chronicle collides with fiction, invention or improvisation a new genre is formed. This genre of historic-fiction has been widely dismissed in the past by historians and authors alike. For historians the obvious and blatant bias of the author of historical-fiction and their invasion into the meticulousness of historical accuracy breaks the integrity of how facts are delivered. Many authors criticise the use of history as backdrop a lazy tool used to rescue a narrative from under-developed characters and bad writing. 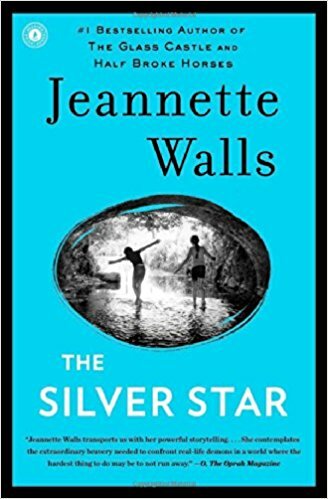 Despite its negative treatment from many corners this form of the novel, where historical fact sets the scene for the story, has become hugely popular in recent times; thanks to authors such as Hilary Mantel, Andrew Miller, Kate Mosse and Colm Tobin." And just like that, we have already come to the end of the thirteenth edition of Gliding Over the World of Literature. I truly hope that the news I brought to you today helped you to learn something, helped you to find new books to read for the rest of the summer, or at the very least kept you entertained for the brief few minutes you spent here. I will see you next week for a brand new edition of Gliding Over the World of Literature, with more curious news and facts from the vast and seemingly endless world of books. C.S. Lewis is rightfully known in the literary community as being one of the most ingenious authors of all time, always finding original ways to convey his thoughts, hypotheses and ideas. The Screwtape Letters are certainly a very good example of what he can achieve. It is a short and very simple novel with only one actual character: the devil called Screwtape. The story revolves around the letters Screwtape is writing to his beloved nephew, Wormwood, and in them he provides advice on how to better tempt humans into following devilish ways rather than angelic ones. Lewis uses this set up to explore a number of different topics revolving around the eternal battle of good against evil, including where morality, faith and temptations fit into the scheme. When we look back on the Second World War, we always see Germany as being the bad guys, but what we often forget is that many of the German people were opposed to the concept of Nazism, but they were forced stop professing their views, in one way or another. 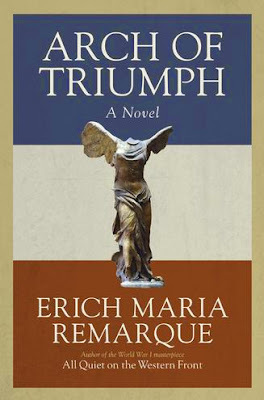 In Arch of Triumph by Erich Maria Remarque, we follow the story of one such German, who found himself exiled from Germany for his different political views in the late 1930s. His name is Ravic, and seeing as how he escaped to France illegally without even any documents, he finds himself forced to practice his profession illegally on France’s elite. Though it may seem as if his life finally has some stability, his true goal has always remained one and the same: to find the Nazi who tortured him out of his own homeland. Most of us are lucky enough to have had someone in our lives who served as a guide, as a teacher who showed us how life is to be navigated. For some people, that person was a grandparent, a parent, a teacher, or perhaps even a peer. In nearly every case, it is someone older and wiser who knows what he or she is really talking about. For celebrated author Mitch Albom, that person was Morrie Schwartz, his college professor from more than twenty years ago. Unfortunately, Mitch had lost touch with him, and consequently, his teachings. The advice he once received from him now felt cold, weightless and distant… the wisdom he once cultivated has faded away, and he no longer had a mentor to guide him through life. Fortunately, Mitch Albom had a second chance very few of us could dream of; to reconnect with his mentor, who he knew was dying. He started visiting him consistently once a week and brought back to life this special relationship, relishing the chance to ask his mentor his most pressing questions. 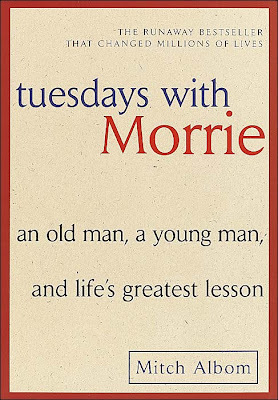 The result of his visits and discussions paved the way for Tuesdays with Morrie, one of Mitch Albom’s most celebrated books. Before getting into this book, what you need to understand is that it revolves around a largely personal experience, and even though the many things Albom comes to learn can indeed be applied to virtually anyone’s everyday life, the advice was meant for him. 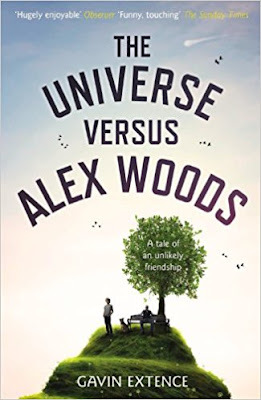 When The Universe Versus Alex Woods by Gavin Extence opens up, we are straight away presented with Alex, a British teenager who has been arrested for the possession of 113 grams of marijuana, and just to make things a bit weirder, an urn full of ashes. Though none sympathize with him and dub Alex as a criminal, he is nevertheless convinced that he did the right thing. The story then goes back to a few years earlier, when Alex was nothing but a 10 year-old child who got hit by a meteorite, becoming both a scientific genius and a social outcast. As you can guess, the rest of the book is about how Alex came to be in the position he was in at the beginning. The quirky and unusual story of Alex Woods is one that combines elements of comedy and tragedy in the face of an inevitable doom. Much of Alex’s development as a character comes from his interaction with his only friend, an ailing American Vietnam War veteran. Though it wouldn't seem that the two have much in common, slowly they forge a bond, creating the type of friendship which can motivate people to go from one corner of the universe to the other. A couple of months ago a certain mysterious man by the name of Robert Galbraith released a novel titled The Cuckoo’s Calling. After getting plenty of good reviews, J.K. Rowling (author of Harry Potter for those who don’t know or don’t care about her) came out and admitted that it is indeed her book and she used a pseudonym. Why did she do it? Apparently, she became tired of all the hype and expectations that come along with her name and wanted to publish something that would be scrutinized on its own and not in relation to her other works. In any case, The Cuckoo’s Calling is a far cry from the children’s books written by Rowling (yes, I know Harry Potter can also cater to adults, let’s not get into that argument right now), following Cormoran Strike a military veteran from Afghanistan who, after losing his leg to a mine, came back home and started a career as a private detective. Unfortunately, Cormoran isn’t the most popular guy on the block, and it seem as if he is about to go under when a man by the name of John Bristow comes in through the door. He asks Cormoran to look into the case of his sister, the legendary supermodel Lula Landry known as the Cuckoo, who a few months ago mysteriously fell to her death. Though the police ruled it a suicide, Bristow knows there is more going on beneath the surface. Cormoran accepts and very soon finds himself sucked into a world of cruel millionaires, sleazy designers, desperate rock-star wannabes, one where pleasure and delusion rule over all. 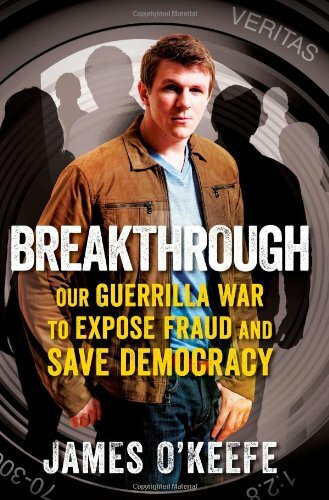 “Breakthrough” by James O’Keefe – Does True Freedom Exist? The United States claim themselves to be the home of the free, but in recent years many Americans believe that the concept itself has been trampled on without mercy. Nevertheless, many still believe that they maintain their freedom regardless of what happens, and that’s a notion James O’Keefe is looking to challenge in Breakthrough. For those who haven’t heard about him, O’Keefe is a journalist whose contributions have been nothing but eye-opening as he risks his livelihood time and time again, trying to get down to the truth of the matters which actually concern our lives and shape the future for millions upon millions. He and his team have infiltrated and gone face to face with some of the most powerful entities in this country, including media moguls, popular politicians, union bosses, elected officials, and many others, in an attempt to expose the skeletons they were desperately hiding from the public. Greetings to all, and welcome to the twelfth edition of Gliding Over the World of Literature, where news from the world of books flow through rivers of knowledge. Today, we will start off by checking out books that actually changed the lives of some people, we will continue on by exploring the art of writing fiction through the eyes of Ernest Hemingway, and cap off the day with the discovery of a rare and early story by Joseph Heller which deals with racism in a very grim manner. The lives of all avid readers are filled with hundreds, if not thousands upon thousands of different books, but unless you have an eidetic memory, chances are you will only remember a fraction of them. These books will be the ones that have really marked you in one way or another, the books that have actually had some kind of impact on your life. Recently, the knowledgeable readers of British magazine Elle have been asked to share on the subject of their personal experiences with life-changing books, and it’s definitely worth a read, especially if you are looking for good literature to add to your collection. "In the August issue of ELLE we asked the likes of Tom Odell, Hadley Freeman and ELLE’s Rebecca Lowthorpe which book changed their lives, and then turned the tables on you. If there was a book that made you cry, or an author that changed your life, we asked for you to share it with us. If the humble book can make someone fall in love, what else could it have the power to do? Lots of you were keen to share. From words that gave you your first taste of heartbreak, to historical novels that inspired careers - you told us about the books that matter the most to you. Read below for our pick of the best entries. 'F Scott Fitzgerald’s The Great Gatsby is the novel that has inspired me. It made me realise the realities of life and that I need to work for what I want. Furthermore, it changed the way I think and never fails to make me cry.' 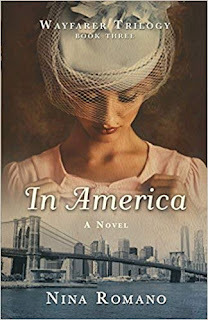 - Sophie Traynor"
The art of writing fiction is far from being something easy to grasp, and those of us who gave it a shot are wondering how the great authors go about it. 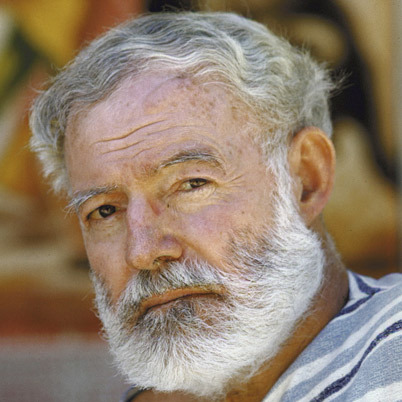 Well, I was more than glad to stumble on this article based on an extensive interview with Ernest Hemingway in which the renowned author discusses his process and line of thought for fictional writing. Even if you aren’t interested in writing your own story, this interview is still worth reading as Hemingway discussed other topics besides that and was, after all, quite a unique and interesting individual. "Ernest Hemingway writes in the bedroom of his house in the Havana suburb of San Francisco de Paula. He has a special workroom prepared for him in a square tower at the southwest corner of the house, but prefers to work in his bedroom, climbing to the tower room only when “characters” drive him up there. The room is divided into two alcoves by a pair of chest-high bookcases that stand out into the room at right angles from opposite walls. A large and low double bed dominates one section, oversized slippers and loafers neatly arranged at the foot, the two bedside tables at the head piled seven-high with books. In the other alcove stands a massive flat-top desk with a chair at either side, its surface an ordered clutter of papers and mementos. Beyond it, at the far end of the room, is an armoire with a leopard skin draped across the top. The other walls are lined with white-painted bookcases from which books overflow to the floor, and are piled on top among old newspapers, bullfight journals, and stacks of letters bound together by rubber bands." Most of us know Joseph Heller as one of the most groundbreaking writers of the twenty-first century, penning many great classics such as Catch-22 and Good as Gold. Though he is most often known for his verbal play and comedic proses, the recent discovery of an early story written by him in the late 1940s or early 1950s shows a different side to his abilities. Without spoiling too much for you, it depicts a very grim portrait involving a racist and bloodthirsty mob in a small southern-American town. "Before Joseph Heller satirized the madness of war in Catch-22, he told a serious tale about the tragedy of racism. Almost Like Christmas, to appear next week in Strand Magazine, is a grim short story about the stabbing of a Southern white man, the town's thirst for revenge and the black man who has resigned himself to blame. 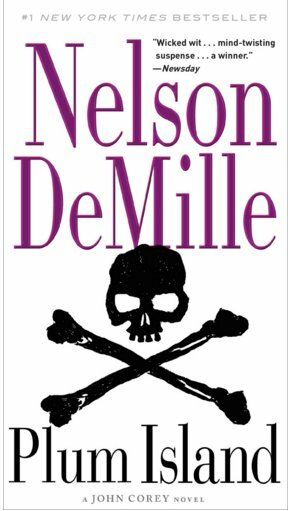 Written in the late 1940s or early '50s, after Heller had returned from the Second World War, the story has rarely been seen and offers a peek at the early fiction of one of the 20th century's most famous writers. "Heller was to a large extent a guy who saw through hypocrisy, greed and the backward nature of a mob better than most writers - so it's no wonder that he turned his pen to a racist mob in a small southern town," said Andrew Gulli, managing editor of the Strand, a publication based in Birmingham, Mich., that has unearthed little-known works by Mark Twain, Graham Greene and others. From the start, Almost Like Christmas is a portrait of a wornout community. One character has the "hopeless, stupid, waxen look of a drunkard." A window's "coarse patterns of grime" reminds another character of "diseased tissue," while the voice of a third man has a "shrill, whinnying, malicious hysteria." In this unnamed place, a terrible fight ("the primordial brutality of an alley fracas") has left a white man in a coma, local residents seething and a young black man, Jess Calgary, as the prime suspect." And so folks, I’m afraid that this is already it for the 12th issue of Gliding Over the World of Literature, though I have to say that it was good while it lasted; we learned about life-changing books, Ernest Hemingway’s personal take on writing fiction, and an extremely rare Joseph Heller story that showcased some of his non-comedic talents. I hope that you were entertained, and I’ll see you all next week for the next issue! 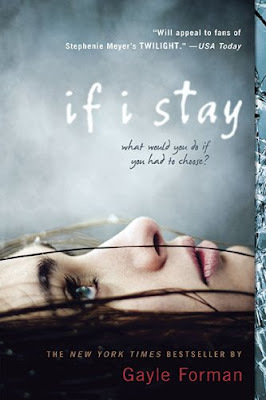 “If I Stay” by Gayle Forman – Is it Time to Leave this World Yet? If I Stay is, if I dare say, a somewhat unusual novel written by Gayle Forman, and it takes place entirely through the perspective of a young girl named Mia who, at seventeen years of age, is fighting for her life. In the blink of an eye she suffers an accident, and she has no memory of what happened. The only memories which remain are the ones before the accident, and the story takes place entirely in her head, for she can only do two things: think and see. As the doctors are trying their best to save her life, Mia is trying to piece things together bit by bit, remembering not only how she got into the accident, but the entire life that led her to reaching that point. Trying to figure out the consequences of her accident and her potential future, Mia is then forced to make the hardest decision possible: to leave or stay. It seems that given enough time, virtually every character from every franchise will make it into space sooner or later. Case in point, it has already happened on numerous occasions to various movie franchises, including Leprechaun, Friday the 13th and Hellraiser (seems mostly horror franchises are affected by this). In any case, it seems that James Bond himself could not escape the trend many years earlier, as he was sent off to space in Moonraker in order to foil the plans of the malicious Sir Hugo Drax, who intends to use his secret space rocket program to wreak havoc on Earth. And this is all because M suspected Hugo Drax of cheating at cards and sent James Bond over to expose him, a situation which ended up revealing Drax’s more dangerous plan. “Zealot” by Reza Aslan – A God, or a Revolutionary? Jesus of Nazareth is arguably one of the most important historical figures on this planet, for he contributed more than anyone to the creation and spread of Christianity. Those who follow on of Christianity’s religious paths see Jesus as the son of God, a savior who preaches peace, compassion and understanding. For what I am about to discuss here it is important to make a distinction between Jesus as a historical figure, and Jesus as a religious figure; the former one refers to the man who existed in first-century Palestine, while the latter one refers to the meaning attributed to him in religion. 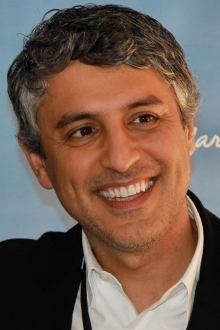 Due to the lack of impartial literature available on him, Reza Aslan decided to collect all the information he could to create the most realistic, unbiased and factual portrait of Jesus as a historical figure, and Zealot: The Life and Times of Jesus of Nazareth is the culmination of his efforts. What I really enjoy about the novel is the fact that Reza doesn’t get into Jesus’ religious implications until much later. Rather, much of the book is focused on what it was like for Jesus during his life. As Aslan said it, he wanted to look at it from the lens of first-century Palestine, a religious land where being a zealot was the norm and everyone seemed to carry messages from God. At that time, Roman occupation was a problem for the Jewish people, and so many of them considered resistance to be their duty in life. Such is the ideology Jesus believed in when he walked across the Galilee and gained many followers. His revolutionary movement was actually presenting a danger to the order that was established by the Romans, and so Jesus was captured and executed. In other words, before being the icon of a religion, he was the icon of a revolution. I was also quite fascinated at the parts where Aslan explored the differences between how Jesus was and how he is described in religious texts. According to the author and the many texts he studied, Jesus preached peace, but asked his followers to take up arms and protect themselves with swords, and even though he was seen as a spiritual healer, he wanted as few people as possible to know about it. After Aslan explores these many differences, he also takes the time to explain why it is in the Church’s interest to depict Jesus the way they do now rather than the way he really was. 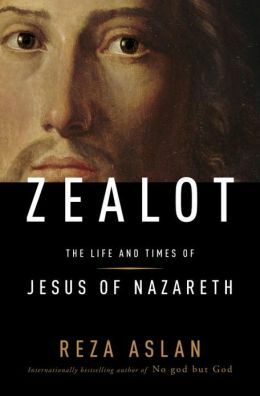 Though there certainly questions which have been left unanswered, in my opinion Zealot is the definitive piece of literature for those who want to learn the truth about the kind of person Jesus was when he lived almost two thousand years ago. If you are deeply-religious, then let me assure you that Aslan doesn’t aggressively shove his beliefs down your throat; rather, he presents the reality he believes to be closest to the actual truth. If you keep an open mind, this book will leave a mark in your memory and perhaps even push you to ask yourself some important questions as to what you believe, why, and how religion functions in this world. Reza Aslan has recently made real waves in the world of Western literature by bringing to it his deep knowledge and experience in regards to Middle Easter and Asian cultures and religions, penning well-known masterpieces such as Zealot: The Life and Times of Jesus of Nazareth. Time travelling is a very complex concept to grasp, especially considering that the debate rages on as to whether or not it would actually be possible in the real world. For this reason, whenever you read a book or see a movie that deals with the subject, it is best to simply suspend your sense of disbelief, forget about all the apparent paradoxes, and enjoy the show. 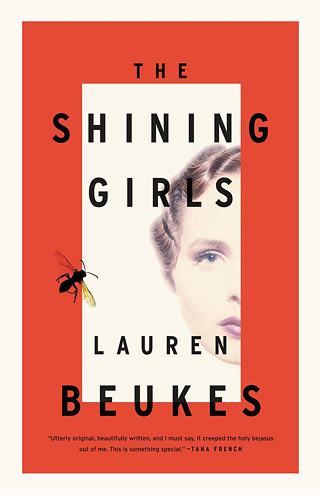 This is the approach you ought to take with The Shining Girls by Lauren Beukes, for it deals with a time-traveling killer hell-bent on snuffing out the lives of the “shining girls”, very bright women with unlimited potential. However, Harper Curtis’ (that is the killer’s name) plan goes awry when one of his victims survives and decides to help an ex-homicide reporter, Dan Velasquez, to find the killer and stop him from distorting the flow of fate. Also, just to clear things up, Harper can travel through time thanks to a house in depression-era Chicago that serves as a gateway to other times. To begin, I’d like to discuss the flaws this book has and get them out of the way. The descriptions can sometimes feel redundant, especially when it comes to the city of Chicago itself; you get the impression that she is describing the same places over and over again with small variations, and when landmarks are mentioned it feels as if they are devoid of any meaning. In 1990 one of the most grandiose museum heists in history took in place in the Isabella Stewart Gardner Museum. A Number of works of art were stolen, and they include The Concert by Vermeer, The Storm on the Sea of Galilee by Rembrandt five drawings by Degas, and a few more. Unfortunately, the culprits were never apprehended, even though the FBI claims to know their identities. 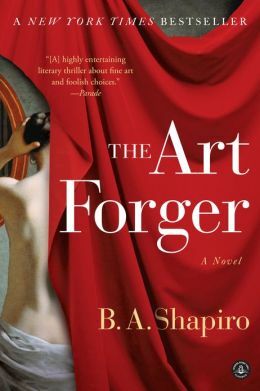 While in the real world such crimes seldom lead to exciting conclusions, in the domain of fiction things can change radically, and so it happens in The Art Forger by B. A. Shapiro. In The Art Forger, we get a fictional continuation of the heist, as twenty-five years after the theft, one of the Degas drawings gets returned to the studio of a young artist living in Boston. At the same time, a woman named Claire Roth enters into an agreement with a powerful gallery owner to forge a copy of the Degas drawing in exchange for giving her the opportunity to set up an exclusive show. However, when Claire starts working on the forgery it becomes more and more apparent to her that the real painting, the one that has been hanging in the museum for years upon years, is a forgery as well. With there being plenty of books about how women should navigate this world and find success in it, there is a surprising lack of literature of such advice directed towards men. It is assumed that because double-standards exist men have it very easy, but the truth is no matter where we live, the world remains quite a competitive place for us. If we are to be successful we must also learn to navigate it properly, and for most of us, that consists of adhering to the image of the “real man”. But what is the real man in the first place? Well, Eric Metaxas attempts to answers that question in his latest novel, Seven Men. 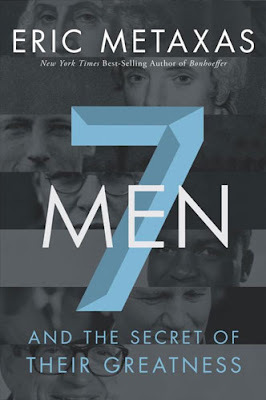 To quickly explain, this appropriately-named book contains the biographies of seven different men (George Washington, Eric Liddell, William Wilberforce, Dietrich Bonhoeffer, Jackie Robinson, John Paul II and Charles Colson), each one being the example to follow for becoming perfect at one aspect of being a man. For instance, one story teaches what it is like to be a good father, another one focuses on the husband aspect, the third one shows what a leader really is like, and it goes on like that. For those who are curious, according to Metaxas, there are a number of different facets to being a man in addition to the ones mentioned above, and these include brother, coach, counselor, change agent and wise man. The book also explores many of the values real men are expected to have, such as generosity, courage, honesty, charity, understanding, and more. Greetings to all and welcome back for yet another issue of Gliding Over the World of Literature. In this eleventh iteration of the journal we are going to be looking at a series of essays discussing missing, stolen, and never-found works of art, the man behind the Dickens and Dostoevsky hoax, as well as the ever-lasting battle between physical and virtual books. Though our museums are certainly populated by an innumerable amount of breathtaking works of art, the tragedy is that many more have been lost to the ravages of time. Lost, Shredded and Stolen is a series of essays which discuss the greatest works of both literature and art which have disappeared in the past centuries. Discussing, amongst other things, works of art pillaged by Nazis and poems burnt posthumously, these essays touch on the dark and yet exciting side of the art world. "In 1911 the Mona Lisa went missing from the walls of the Louvre. It was found two years later, huddling in the bedsit of a freelance Italian frame-maker who had seized his chance while working in the museum one day and had a soft-headed idea about making his fortune. The odd thing was, though, that visitors to the Louvre continued to crowd around the space where the Mona Lisa had once hung. In her lostness, Madame was a bigger hit than if she had been present, correct and reporting for duty in the usual way." For a long time the meeting in 1862 between Dostoevsky and Dickens was considered to be a fact, but it was recently disproved as a hoax by a rather complex man who goes by the name of Arnold Harvey. He believes that during his lifetime the academic world was condescending to him and even conspiring against him at times. He is indeed the owner of multiple identities in print, and the unraveling of his lies led the revelation of something much more beautiful and heartwarming than you can imagine. "Arnold Harvey is waiting for me outside his flat overlooking Clissold Park in north London. With beard, lank grey hair and a large stomach that may be the product of eating too many fry-ups at the greasy spoon next door, he looks like a bucolic version of William Golding. It is his first ever interview and he is nervous, expectant. After a lifetime of what he believes to be academic condescension – or worse, conspiracy – he sees me as a possible source of redemption. This could be tricky. Harvey, who has written most of his books using the initials AD rather than his first name Arnold, which he dislikes, has been exposed in the Times Literary Supplement as the possessor of multiple identities in print, a mischief-maker who among other things had invented a fictitious meeting in 1862 between Dickens and Dostoevsky. This startling encounter was first written up by one Stephanie Harvey in the Dickensian, the magazine of the Dickens Fellowship, in 2002, and quickly hardened into fact, cited in Michael Slater's biography of Dickens in 2009 and repeated by Claire Tomalin in her biography two years later." It is no secret that the printing industry has suffered a tremendous blow with the recent trend to digitalize everything, and the medium most affected by this turn of events is undoubtedly the book. Even though a virtual book will never be able to replicate the feeling of holding an actual treasure made of pages and ink in your hands, it is winning people over due to its convenience. However, the fight is not yet over for print books, as a few ingenious people have taken to using their rarity as a comeback point. "What does the e-book offer? It's cheap and convenient to download and use. But it isn't pretty, you can't feel it and you can't treasure it. One way for the traditional print book to compete with the e-book is to play up its own virtues. ''Printed books will have to become more beautiful, more durable and more tactile'', Melbourne author and artist Antoni Jach says. These booklovers will need deep pockets, but they are buying real treasures. Taschen has just published a wondrous book, Genesis, a collection of work by Brazilian photographer Sebastiao Salgado, conceived, edited and designed by his wife, Lelia Wanick Salgado. It's the result of an eight-year expedition to discover landscapes, animals and people untouched by modern society, and it coincides with exhibitions around the world." And so, hoping that you have learned something or at least had fun, I bid you farewell as the eleventh issue of Gliding Over the World of Literature comes to an end. Just to reiterate what we've seen today, the world of art and literature has a dark and mysterious side, not all mischiefs are for the worst, and printed books still haven't been knocked down for the count. See you all next time! When he was still a kid, Adam Brown’s dream was to wear his high school’s team jersey as he was growing up in the quiet town of Hot Springs, Arkansas. Throughout his younger years Adam Brown developed a certain attraction to daredevil activities, perhaps even becoming somewhat of a risk and adrenaline junkie. Unfortunately, he fell in with the wrong crowd and his risk-taking behavior escalated up until the point where he got thrown in jail. Having touched the bottom of the barrel and fighting his demons, Adam set a noble goal for himself: to become Navy SEAL. Eventually, he did reach his goal, becoming the operator of Navy SEAL team SIX. After spending his life taking risks, Adam Brown’s life came to a tragic end on March 17th, 2010, as one last selfless act of heroism turned out to be a sacrifice. 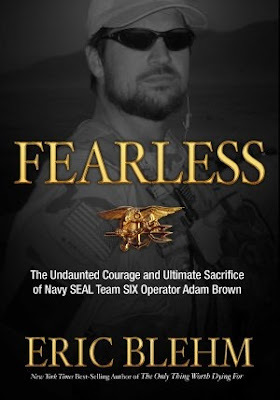 Fearless by Eric Blehm is a biography dedicated to Adam Brown, one of the greatest people to ever follow the way of the warrior. First off, as you can imagine, much of the book is spent dealing with the many challenges and roadblocks Adam had to face during his life before becoming a Navy SEAL, and that already makes his story more special and interesting than most. John Corey, the NYPD’s best homicide detective, is taking a well-deserved rest as he recuperates from the grievous wounds he received while in the line of duty. However, it seems that our heroes can never get even a bit of rest as Corey is hired as a consultant on a very strange case: the murder of two biologist brothers who worked at the site of animal disease research for the Department of Agriculture, on a paradise known as Plum Island. Naturally, Corey immediately suspects that things aren’t what they seem as he discovers that the brothers had a missing ice box and were spending far more than their salaries allowed it. It didn't help that the FBI and CIA have gone to great lengths to sanitize Plum Island. And so, with the help of his partner who is working her first case, Beth Penrose, he sets out to find God-knows what on an island where anyone could be an enemy. Humanity’s future is far from being certain or etched in stone, which is actually quite hopeful and downright frightening at the same time; things could get better, but it seem as if human nature would like for them to get worse. 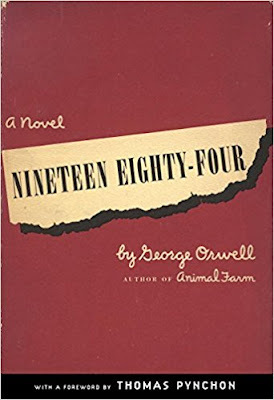 George Orwell has become one of the most renowned and respected authors in the entire world, and 1984 is arguably his most widely-recognized work. As some of you may already know, in 1984 Orwell depicts in a novelized fashion what he believes the future may look like considering the human nature. How exactly did he see the future? Well, to put it as simply as possible, he predicted a dystopian society ruled by bureaucracy and the government, where all citizens are repressed with their thoughts and actions being controlled, either directly or influenced in subtle but powerful ways. Of course, the book isn’t simply a description of daily life in a bureaucratic purgatory… rather, it tells the story of a man whose job is to burn books, and how he becomes disillusioned with the world upon having a heated encounter with a certain lady. Recently James Patterson has stared co-authoring pretty much all of his novels. Though some people were disappointed by such a career choice, others were delighted, and the way I see it, it paid off beautifully with Second Honeymoon. We see the return of suspended FBI agent John O’Hara as he is paired up with the new kid on the block, agent Sarah Brubaker. Together, they must solve two cases that seem to be quite connected: a serial killer who disposes of couples on their honeymoons, and another murderer who, in search of the perfect name, recently settled on John O’Hara (no, this is not a typo). As is usual with Patterson, we are treated to a fast-paced psychological thriller centered around murder mysteries and serial killers. It goes along at a breakneck speed, seldom stopping to smell the flowers, and in this particular case, I think it was quite beneficial considering the main substance is in the pursuit of the serial killers rather than anything else. With that being said though, there is still some much-welcome character development in regards to John and his partner, Sarah. Though in some regards they are quite mismatched, in the end their personalities perfectly complement each other, making for a number of humorous moments which mark a break in the action. It is no secret that the Middle East is one of the most turbulent places on this entire planet we call Earth, with there constantly being tensions between different religious and cultural groups, with ever-present clamors for either modern reforms or reverting to traditionalism. Though we may hear news of all the deaths that are happening over there, grasping the true importance and impact of events taking place so far away is a difficult thing to do. Remember, feeling sorry and understanding what it is like are two very different things. There are few people who are in a better position to understand the conflict than Sahar Delijani, who has born in the Evin prison of Tehran, Iran, and saw first-hand the atrocities men can inflict on each other. In my personal opinion, Franz Kafka is one of the most interesting. original, talented and fascinating writers to ever pick up a pen. Those of you who have heard about him probably know him for The Trial, a very surrealistic story about the nightmare of bureaucracy. The most special aspect of his stories, at least according to me, is that he didn't really care about realism. In other words, the story was always a beautiful, vivid and though-provoking metaphor, allegory or parable that was meant to be taken in any sense but the literal one. The subjects he touched on and the ways in which he depicted them (sometimes horrifying, and at other times merely unsettling) is something only he could have done. Such an author deserves to be recognized, and that’s perhaps what Reiner Stach had in mind when he wrote Kafka: The Decisive Years, translated by Shelley Frisch. Greetings to all, I am proud to welcome you back to the tenth issue of Gliding Over the World of Literature, where books and fun facts come to meet to make for an interesting and educational experience. This time around, we are going to start by looking at the best heroes and villains in the world of literature (according to modern readers), the sudden revival of American icons, and some interesting thoughts on the surprisingly widespread practice of using orphans in various works of literature. Over the many years humans have been writing and have come up with countless memorable heroes and villains, and though I do admit that making a top 10 list for each won’t do justice to all the authors out there, it is still a valiant effort to understand the mind of the modern reader. As it happens, The Book Depository conducted a survey amongst 4000 participants as to who they thought the best literary heroes and villains of our generation are, and to be Frank, looking at the number one spot, I’m not sure if I should laugh or cry. "From the findings of over 4000 participants, the survey found that contemporary classics and literary stalwarts yielded the most iconic and beloved storybook characters, while the 1300 Australians polled demonstrated a love for comic book characters. It’ll come as no surprise that the top spot on the global heroes list was taken out by boy-wizard Harry Potter. Proving the worldwide phenomenon is far from over, Potter’s Hogwart’s alumni Hermione Granger took out the second place, making her one of only three female characters to make the list. The others were Katniss Everdeen (The Hunger Games) at number nine and Matilda (Matilda), who tied for tenth places with Peter Pan. Another magically gifted student took out the third place on the heroes list, with Percy Jackson (Percy Jackson & The Lightning Thief) rearing up behind Hermione in the Australian results. The amount of children’s characters in the lists demonstrates how important literature remains to kids today. " All of the sudden it seems that American moviemakers are starting to rediscover the past, as was apparent with the remake of numerous literary classics, including The Great Gatsby, The Wizard of Oz, and 42. It seems that the trend will continue in the future (at least judging by the success those movies had), and it could play a very important role in re-introducing North America to classic literature. "LOS ANGELES — It's American idol, big-screen edition. • The Great Gatsby — The adaptation of F. Scott Fitzgerald's classic is the surprise hit of the year. The Leonardo DiCaprio drama stunned analysts with $142 million, the eighth-highest grossing film of 2013. • 42 — The story of Jackie Robinson breaking the major league's color barrier marked the highest debut on record for a baseball film at $28 million. The Harrison Ford movie stands at $95 million, making it the second biggest baseball film, behind only 1992's A League of Their Own at $108 million. • The Wizard of Oz and Superman — Oz the Great and Powerful muscled $235 million at the box office, while Man of Steel has soared to $249 million and counting, getting the franchise aloft for the first time in a quarter century. The made-in-the-USA parade continues over the July 4th holiday weekend as Johnny Depp's The Lone Ranger gallops into theaters." Those of us who have thought about the concept of orphans in literature have undoubtedly noticed how often they appear, especially in the role of the main character, and those include universally-beloved characters such as Harry Potter, Frodo Baggins and Heathcliff (from Wuthering Heights). Perhaps the abundant use of orphans was for literary purposes, though it could also have been a reflection of days past where mortality rates were high and left many children to fend for themselves. 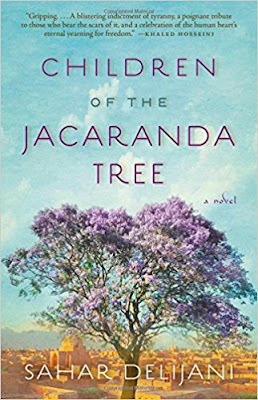 "When recently rereading Uncle Tom's Cabin, it struck me that this heartbreaking novel about slavery was also about something slavery caused: the orphaning of children. Whether their parents were yanked away at auction or killed, many kids in the brutal antebellum South lost their moms and dads. A major orphan character in Harriet Beecher Stowe's powerful page-turner is Topsy, who was turned into a psychological mess by cruel owners until the love of the child Eva and, eventually, the love of parent figure Ophelia help transform her. Ophelia was partly based on Stowe herself, who died almost exactly 117 years ago on July 1, 1896. After reading Uncle Tom's Cabin -- whose brave, devout title character doesn't deserve the slur later associated with his name -- I thought about other orphans in literature, and why those characters can make novels so compelling. Their difficult starts in life draw our sympathy, and when they overcome obstacles via their own efforts and/or help from others, it is especially inspiring. If they unfortunately don't achieve some sort of happiness, well, that can be compelling, too." And so folks, this it for the tenth edition of Gliding Over the World of Literature. Instead of looking at actual news, I thought it would be a nice change of pace for this edition to simply look at fun facts and explore interesting concepts that are boiling in the literary world at the moment. I’ll see you all next time, with more exciting news from the book world. It seems that practically every famous detective and sleuth in literature must, at one point or another, solve a case from a long-forgotten past. I guess there is some kind of mysterious attraction to such topics; as time passes by, events get increasingly blurred and there are less and less ways of finding out the truth. 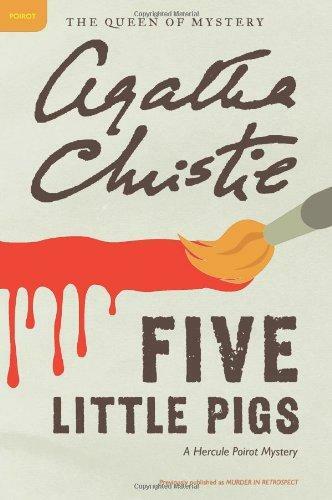 However, such things never stood in the way of famous Belgian sleuth, Hercule Poirot, especially not when he was solving the murder Amyas Crayle in Five Little Pigs, written by none other than Agatha Christie. Just to give you a brief idea of the premise, Amyas Crayle, a brilliant painter, is found murdered and his wife was quickly arrested and condemned as the culprit. However, she still has a daughter who, upon turning of age, received a letter in which her mother professed her innocence. Naturally, the daughter turns to Hercule Poirot for help with her complex case, and he must solve the crime with very little evidence. As a matter of fact, all he really has are the stories of the five people who were there when it happened. Though most of us have a happy childhood, we slowly but surely figure out that the world isn’t nearly as pretty as it’s made out to be. Many of us living in peaceful countries do not even realize how lucky we are to be relatively sheltered from the cruelties Man can inflict on Man. There are others, however, who make this discovery very early and in a brutal fashion, and that’s the theme, or at least one of the main ones, in Jeannette Walls’ The Silver Star. It follows the life of two sisters, Bean, twelve years old, and Liz, fifteen years old. One day, their quirky and irresponsible mother leaves on a soul-searching trip, leaving the girls with about a month or two worth of money and supplies. Naturally, the girls aren’t crazy about the arrangement, but they make the best of it, until one day they see a police car in front of their home, and simply decide to take off for Virginia in search of their mother. Upon arriving there, they make the acquaintance of their uncle Tinsley who lives in a crumbling mansion that belonged to the family for generations, they learn about Bean’s father, the reasons as to why their mother left, and more importantly, they start working for the abusive Jerry Maddox, the foreman of the town mill. 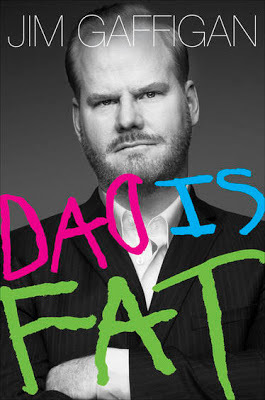 Before I read the book, I had no idea who Jim Gaffigan was. For those who are in the same boat I was, he is a stand-up comedian who doesn’t shy away from any subject, be it bacon, or as is the case with his book, Dad is Fat, his five children that dragged him through heaven and hell countless times. I didn't know what to really expect when I opened up this book (other than that it was about parenthood and supposed to be hilarious), and I found myself drawn into it from the opening lines. Gaffigan has a very appealing type of humor which, in my opinion, is perfect for autobiographies about the various tribulations of life. I find it to best-described as a type of deadpan humor with a bit of immaturity and anger thrown into the mix. Like I mentioned above, the whole book is pretty much about him, his wife, and their five children. He doesn’t go into much detail about other aspects of his life, and frankly, I’m glad he didn’t for his family life made a great subject for the book. He always finds humor in the most unexpected places, and as it turns out, children are a real gold mine for it. From time to time, he also drags his wife and her apparently superhuman fertility levels into the spotlight. “The God Delusion” by Richard Dawkins – Is Religion the Enemy? Quite recently it seems that a bigger division was created between “believers” and “non-believers” (for lack of better words), mainly due to Sam Harris and Daniel Dennett who basically started the anti-religion wars by scrutinizing the beliefs people have been holding dear to heart for over a thousand years now. 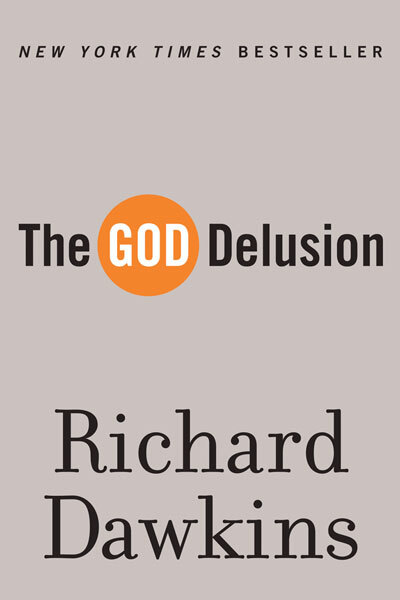 Though many people like to think of Richard Dawkins as a bully, it cannot be denied that the man seeks to learn the truth through the scientific method, and in his book The God Delusion, he examines the whole concept of religion through the scientific lens. To begin with, this is what I like to call an aggressive approach to religion, in the sense that it feels as if Dawkins has already made up his mind a long time ago and is trying to make us see what he feels to be obvious. He spends a great deal of the book discussing how religion impacted humanity, and more often than not, he concludes that it led to war, violence and death, using a surprising large number of examples from the Crusades all the way to 9/11. Many of us know Alexandre Dumas as being the author who brought to us great classics such as The Count of Monte Christo and The Three Musketeers. However, what many people do not know is that Dumas didn't just pull those stories out of his head, newspaper articles, or even first-hand observations… rather, many of the heroic events taking place in his stories were inspired from his father, General Thomas-Alexandre Dumas (for the purpose of simplicity, the father will be referred to as General Dumas from now on). Indeed, it seems as if life in the old days was much more exciting than it is now, for as author Tom Reiss describes it in his book The Black Count, General Dumas was the real Count of Monte Christo. Though I know it may be very hard to believe, but General Dumas was something akin to a French version of Superman. Straight from the start his life was nothing to envy, as he was born the son of a black slave, destined to spend his entire life in forced labor. However, he somehow managed to muster the perseverance, strength and courage to succeed in the world of the white man, though that nearly cost him his life on more occasions than we know. 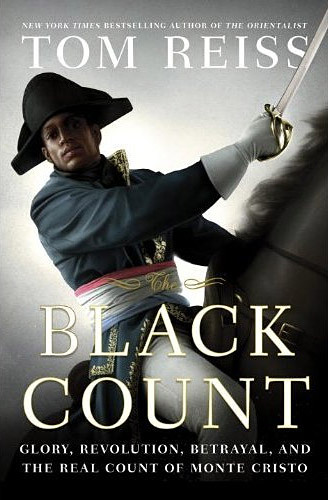 The Black Count chronicles Dumas’ life, all the way from the colony of Saint-Domingue (Haiti today) to the streets of Paris, how he rose from the son of a slave all the way to the rank of General in the French Army, and the part he played in the revolution.